J.D. 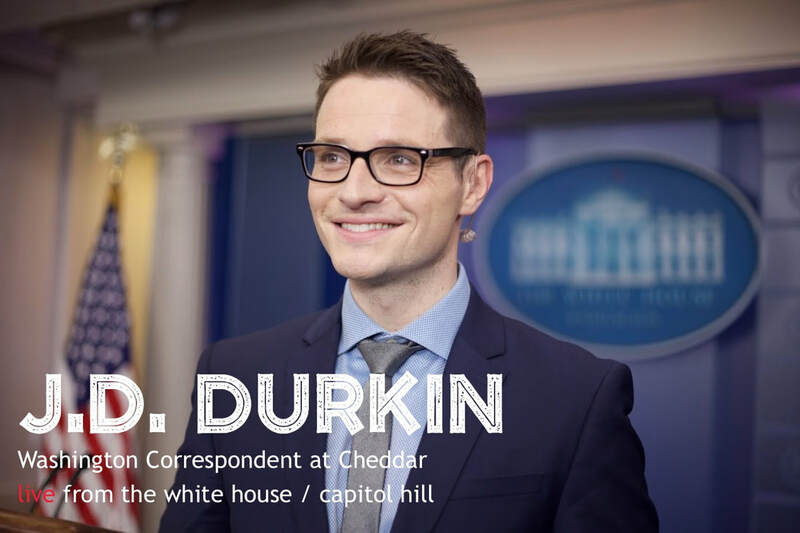 Durkin is Cheddar’s Washington reporter covering a wide range of topics across D.C., including the White House, Capitol Hill and Justice Department. Durkin reports on the intersection of tech, business and politics, including Washington's influence on the surging stock market, and social media officials facing questions from lawmakers on Capitol Hill. Durkin has recently interviewed a series of members across the spectrum, like Sen. Elizabeth Warren (D-MA), Sen. Tom Cotton (R-AR), Rep. Tulsi Gabbard (D-HI), Rep. Adam Kinzinger (R-IL), and Sen. Sheldon Whitehouse (D-RI). As a columnist and senior editor for Mediaite, Durkin covered the ins and outs of the 2016 presidential election, launching the site's original video platform. He graduated with a B.A. in English and Irish Studies from Villanova University. // @jiveDurkey.